(c) the details of the financial assistance provided by NABARD for this purpose and the number of workers benefited there under during the last three years and the current year, State/ UT-wise? This savings led, women-centric, door-step, self-managed micro finance programme has enabled organising the poor into groups and linking them with banks for credit facilities. During 2017-18, 87,44,437 SHGs have been linked with bank accounts with a total deposit of Rs.19,592 crore. Out of its RIDF, till 31 March 2018, NABARD has supported 6,27,179 projects with loan assistance of Rs. 3,13,876 crore for creation of rural infrastructure. It is estimated that over the years on their completion, these investments would help create 10.68 lakh jobs and 1.59 lakh man-days of non-recurring employment. The state-wise details of recurring (No. of jobs) and non-recurring employment (Man- days) generated is furnished in Annexure I. 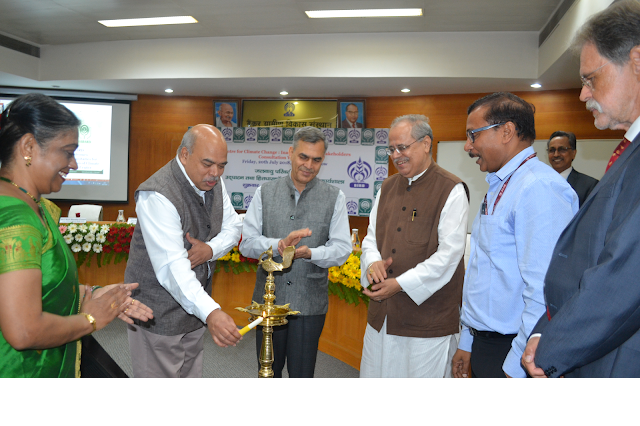 By end of March 2018, NABARD had supported 32,520 Skill Development Programmes (SDPs) with grant assistance of ₹121.42 crore, imparting training to around 8.37 lakh unemployed rural youth. During the current year i.e. 2018-19, as on 30 September 2018, 1573 SDPs covering 38,819 trainees have been supported. All India position vis-à-vis State specific position including State of Uttar Pradesh for the last three years is furnished in Annexure II. Projects for livelihood promotion in tribal areas are implemented by partnering with State Governments, NGOs and CSR initiatives. As on 31 March 2018, 712 Tribal Development Fund (TDF) projects were under different stages of implementation with total financial outlay of ₹2,120 crore, benefitting 5.21 lakh tribal families. State-wise status under the programme during the last 4 years (including the current year) is given in Annexure III. For supporting skill development of rural women, NABARD supports skill development programmes through the Micro Enterprise Development Programme (MEDP), under which around 27,800 SHG members were trained through 854 MEDPs during 2017–18 for enabling them to start micro-enterprises. As on 31 March 2018, around 4.68 lakh SHG members have received training through 16,406 MEDPs. The state-wise details are furnished in Annexure IV. To promote collectiv isation of rural artisans so as to make them strong enough to take up business activities, through capacity building, business planning, and development of marketing linkages, Off-Farm Producers Organisations (OFPOs) were promoted on a pilot basis during the year 2016–17 in existing artisan clusters. Cumulatively, NABARD has supported promotion of 10 OFPOs with a grant assistance of Rs.3.17 crore. These clusters are expected to benefit around 3,000 artisans / weavers. Additionally, 25 proposals for promotion of OFPOs from 15 states have been given in-principle approval. Details of the 10 sanctioned OFPOs are given in Annexure V.
NABARD supports marketing activities of artisans by way of encouraging their participation in many exhibitions, melas, rural haats and marts. Cumulatively, during last three years, NABARD has extended grant support of nearly Rs.20 crore for such market interventions. During 2017–18, NABARD organised/sponsored 247 melas/ exhibitions of rural crafts in different parts of the country with financial assistance of ₹4.04 crore. Livelihood and Enterprise Development Programme (LEDP), targeting SHG-clusters in contiguous villages involved in farm and off-farm activities, supports intensive skill building, refresher training, backward-forward linkages, value chain management, end-to-end solutions and hand holding services. As on 31 March 2018, 15,382 SHG members had been supported through 324 LEDP programmes. The state-wise details for the amount sanctioned, released and the number of members trained is furnished in Annexure VI. For farmer centric livelihood promotion, NABARD provides financial and development support for promotion and nurturing of Producer Organisations (POs) through ‘Producers’ Organization Development and Up liftment Corpus’ Fund (PRODUCE fund). The aggregate membership of the 2154 FPOs promoted so far is around 6.50 lakh farmers, out of which around 80% farmers are small & marginal farmers. The State wise grant assistance provided by NABARD during the last three years and current financial year is furnished in Annexure VII. A Watershed Development Fund (WDF) was set up in NABARD in 1999-2000 with an initial corpus of ₹200 crore contributed by GoI and NABARD in equal proportion. The scheme is being implemented in 19 major states. Various projects implemented under the scheme have covered nearly 48,000 families in last three years. State wise number of projects sanctioned, grant sanctioned and the number of families benefitted during the last 3 years is given in Annexure VIII.